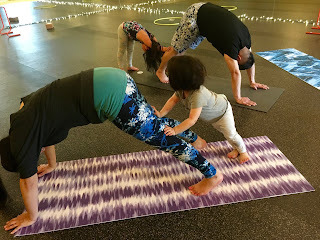 Mini and Me Yoga - This session will introduce you and your kiddo to yoga in a fun, child-centered way. 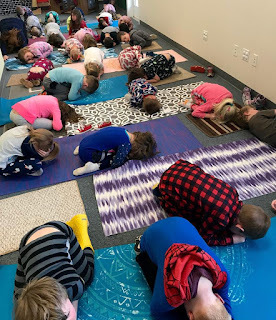 We will sing, dance, practice breathing techniques, read stories and play yoga games. 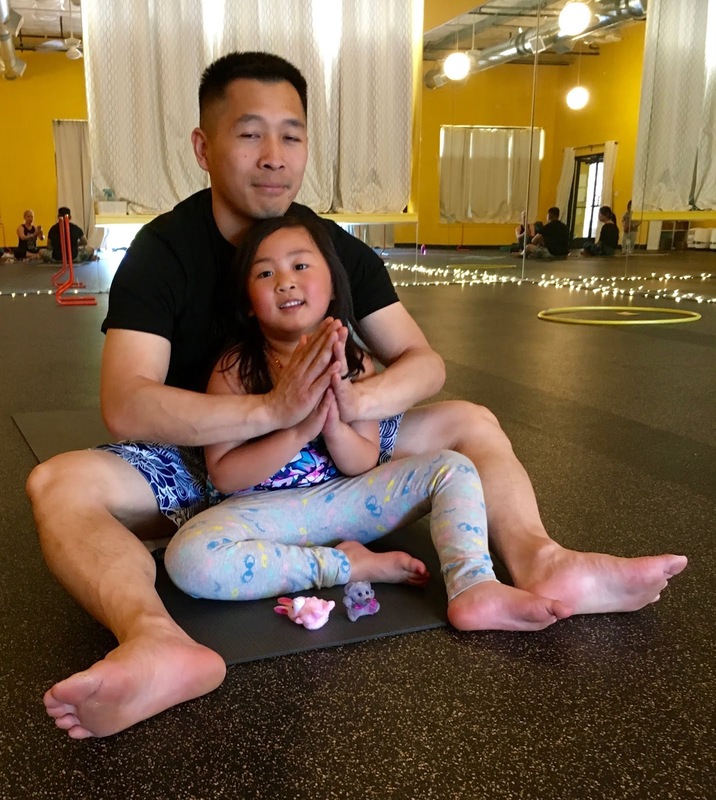 It is the perfect opportunity to bond with your child, all while having a great time practicing yoga together! We will be meeting on Mondays, starting September 17 from 9:30 - 10:15am. There will be a FREE demo class on Monday, September 10 at the same time. This class is for ages 2-4, and requires adult participation. Please visit the Kids Yoga tab on this website for a direct link to register. You can also contact me directly with any questions, or to RSVP for the free demo class. I can't wait for these sessions! Please do not hesitate to contact me if you have any questions. I hope you have had a great summer! I could not possibly be more excited to begin offering a fun new Mommy (or Daddy or Caregiver) and me class this fall! The class is called Zumbini, and it is an absolute blast! Think fun music (pop, latin, and more), dancing, playing instruments and playing with scarves. Think 45 minutes of uninterrupted bonding time with your little, while they gain social, emotional and cognitive skills, all through music, movement and play. Now, if this has you excited, you should check out the FREE demo class I will be offering! This will give you the opportunity to experience the class with your child to see what you can expect throughout the session. The demo class will be on Monday, September 10 at 10:45 at The Club at Gig Harbor. The 8-week session will begin the following week, every Monday from 10:45-11am. You can RSVP for the demo, or register for the full session by visiting www.zumbini.com and using the class locator (by putting in your zip code). As always, please do not hesitate to reach out if you have any questions at all. Spring Break Fitness and Yoga Camp at Rainy Dayz! I am so excited to bring this fun camp to the school where I teach! 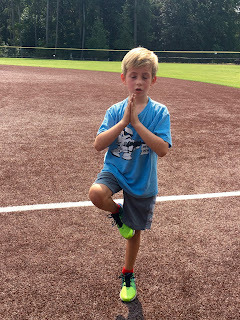 I will be combining Boot Camp for Kids with Kidding Around Yoga (my favorite kid's programs) for an awesome 2-day experience. 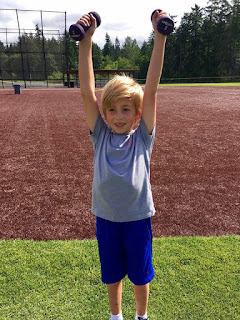 The sessions will run Monday, April 16 and Tuesday, April 17 from 9-12 at Rainy Dayz Preschool in Gig Harbor. It is open to kids ages 4-7. 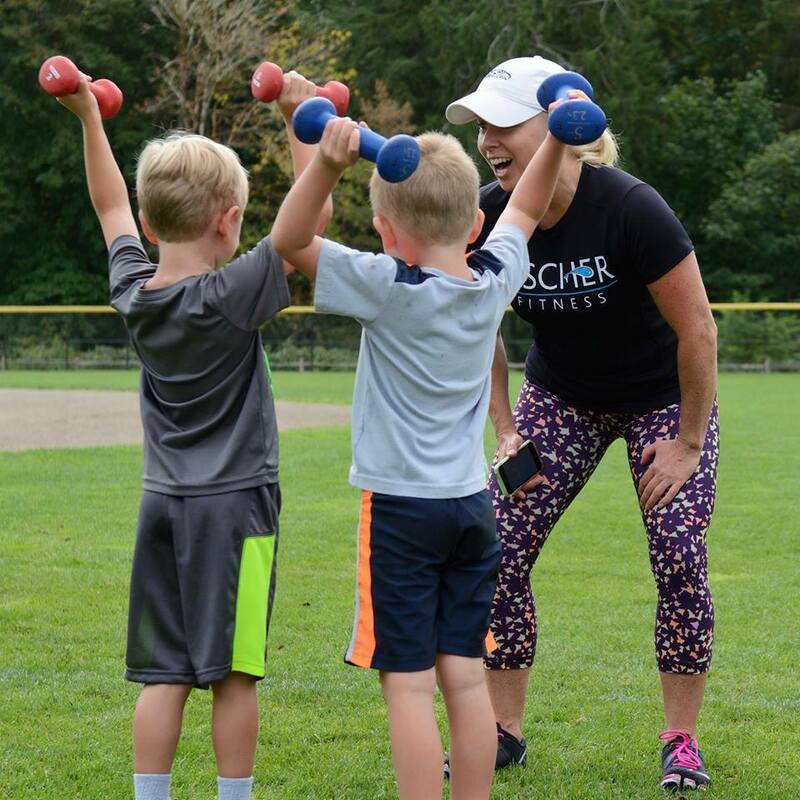 The kids will have the opportunity to do obstacle courses, circuit training and play tons of fun fitness games with Ms. Kristi. They will then do a unique mindfulness-based craft (calm down jars and lavender eye pillows). 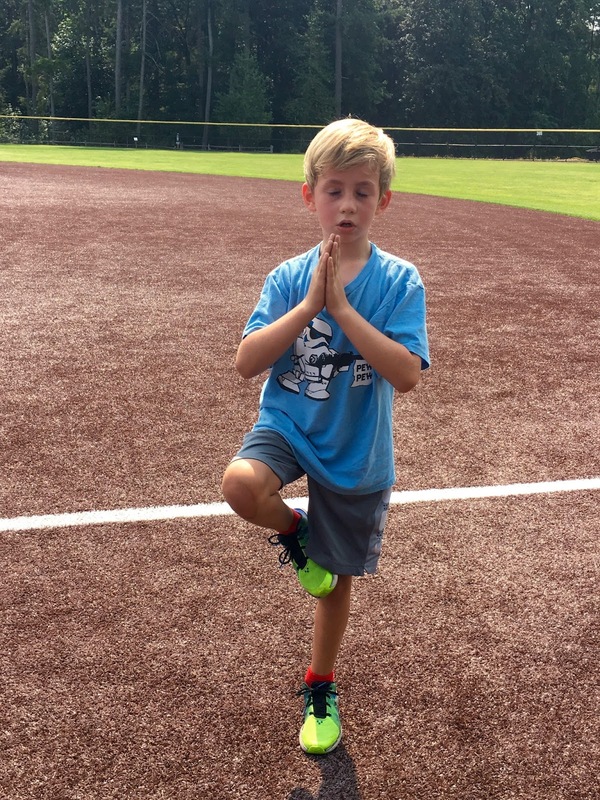 Each day will end with a special yoga class that includes music, games, stories, yoga poses and meditation. I look forward to seeing your kiddos there!! Facebook seems confused. I keep getting prompted to change the "category" on my business page. I think FB is just not sure exactly what Fischer Fitness is. Sports and Recreation? Massage? Cooking? Periodically I will get comments from family or friends like, "So what are you doing NOW?" or "You do so many different things!". I thought I might try to clarify exactly what this business is all about. I have a Bachelor of Science in Physical Education. Back in the early 90's when I went to college, my official degree was BS in PE, with a concentration in Exercise Science and Pre-Physical Therapy. I have had an obsession with teaching fitness since I started teaching aerobics classes when I was 18. That has remained a constant in my life. In 1997-98, I went to massage school and added that to what I was doing (fitness instruction/personal training). Through the years I have developed a passion for cooking, and because so many of my training clients ask about healthy eating, it seemed natural to add that to my business as well. More than anything, I want to help people live a full, balanced, happy life. In my opinion, all of the things I do are an essential part of healthy living. We all need to figure out what moves us. Not everyone enjoys going for a run, or going to a gym, but we all need movement in our lives. Many people have given up on cooking because they are just too busy. To those people I would say, Slow down! Take care of yourself. Treat yourself to a massage. Learn how to implement simple healthy meals into your day so that you can spend time around the table with people you love. I hope your 2017 is starting out beautiful! Take good care of yourselves! I have two really awesome boys. Recently my oldest son told me he wanted to be a famous YouTuber (is that a word? is that a thing?). The boys and I were talking at lunch the other day about things we wanted to do this summer, and we came up with a plan. I told them we could work on putting together some YouTube videos where they could talk about and demonstrate some ways to be active as a family. They were really excited about this idea and immediately started planning their "intro" and talking about different ideas. 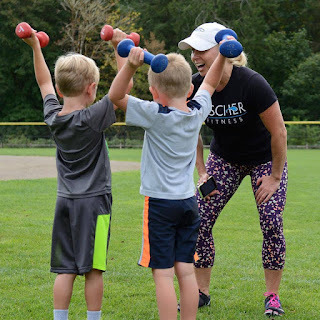 Of course I was excited because this fits right in with my mission to get everyone in the family moving and exercising together in a fun, playful way. Our plan is to try this out and see if other families will find these ideas useful. We even thought about doing some Kids in the Kitchen segments where they will show healthy snacks and even help with meals. The idea with this game is to see how fast you can string the alphabet together. The boys like to time themselves and then try to beat their time. To involve the whole family, I say make it a race! Create two teams (kids against parents, one parent and one child vs. other parent and child, boys against girls, etc. )(make sure you have two sets of the alphabet written on your plates) and see which team can do it the quickest. For the sake of the video, we did this just in our backyard. You could make this game longer if you put the plates in the front and make the alphabet in the back, so everyone is running back and forth. I love this because you will certainly get your heart rates up, but it also involves lots of squatting down to flip the plate over. I told the boys they had to leave the plates face down. If they pick up a plate and they already have that one, they had to put the plate back face down. If you have older kiddos, see how fast they can put their names together, or some other word you come up with. This could be a numbers game as well if your children need to work on number recognition. The bottom line is, kids love to run around. They especially love to run around with parents, grandparents, aunties, uncles, cousins and friends. Paper plates are very inexpensive. We have been using this same stack of paper plates for months and have played this game a number of times. I also brought these in to the preschool where I was working and used them with those children. I like to play this game a few times and then put the plates away for awhile. Just like their toys, it will seem new again when you bring them out a month or so later! I hope this will inspire you to run and play as a family. There is nothing more important than for us to set an example for our children. If you can show them that exercise is fun, this will stick with them the rest of their lives! My boys are hoping to get as many "likes" as possible on their video, so if you enjoyed it, leave them a "like" or a comment! I am so excited to launch this new project! 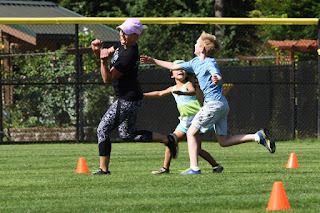 I have had several people (moms) approach me about starting a program for young girls. There is so much pressure on young people to try to fit in, and while organized sports are perfect for some, those can be intimidating for others. Some kids just don't want to play sports. However, developing healthy exercise and nutrition habits is so important, so the challenge is finding something these young kids can do to feel good about themselves. I really hope I can inspire and motivate young ladies to develop a passion for being strong and fit. We will be meeting in my (private) home gym, so it will be less intimidating than a large gym or class setting. The private atmosphere (including fun music and a disco ball!) will be the perfect place to learn about strength training, coordination, agility, cardiovascular fitness and nutrition! This class will be launching in March. Please visit the Gig Harbor Girls of Strength tab on this website to learn more. I am so happy to announce the winners for the Shape Up To Summer Challenge!!! Before I do, I must tell you how happy I am about the results. Not just the numbers, although I am thrilled with those, but more than anything it was the mental transformation that I saw so many participants make. What I wanted more than anything was for everyone to realize that this is a lifestyle that we are creating. This was not a short-term program that is over in 30 days. I suppose technically the end of the program was after 30 days, however, I really wanted the participants to figure out how to fit healthy habits into their busy lives. I did not want anyone to feel deprived and starving all the time. I didn't want anyone to have to exercise for hours at a pace that would be impossible to keep up. Instead, we introduced clean, healthy meals that tasted good. I also encouraged everyone to do what they could with their workouts, even if it meant only 10 minutes! Trust me, these 10 minutes were effective! If there were days when they had more time, the workouts were a little longer. This was a crazy time of year for a challenge. We are nearing the end of the school year when there are activities like crazy. The weather is getting nicer and people are starting to head out camping. Our winner actually celebrated her birthday in the middle of this challenge!! And by the way, I had a conversation with her and yes, she had dessert! Could my participants have lost more weight and inches? Yes. However, it would have been in an unhealthy way. They would have adopted bad habits of starving themselves and exercising obsessively and probably would have put the weight back on after the challenge. I always say to my clients, "Why start something that you cannot continue to do for the rest of your life?" I realize people want fast results. I get that. We are programmed by this fast-paced world to want things instantly. We are impatient. However, if you take the time to understand healthy eating and a healthy relationship with food, you can create some incredible habits to last a lifetime. If you can figure out how to fit more movement into your life, it will become a natural part of your day. The weight may come off more slowly, but guess what? It will have a greater likelihood of staying off! Biggest Transformation - LISA KRONA!! Lisa lost a staggering 9 lbs and 6.25 inches! This is awesome! Biggest Breakthrough - LINDSAY REANIER!! I know sugar has been a challenge for Lindsay. The other challenge was committing to a program and finishing it. Not only did she lose 5 lbs and a full inch off her waist, she made progress with cutting back on sugar and was great about trying new recipes and checking in regularly. She finished!! Most Inspirational - This was tough for me. 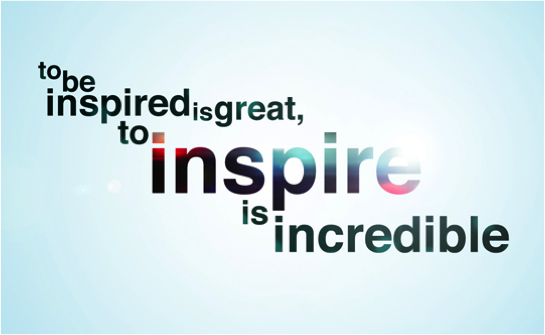 There were so many that inspired me. I had to narrow it down, however. I actually chose 2 people: KRISTEN MORKERT and HEIDI ARMSTRONG!! I know how busy Kristen was with running her kids around to activities, work and trying to fit in clean eating and workouts. There were days when she was running 15 minutes late to bootcamp, but she still made it! Heidi actually started working with me years ago when I first began my bootcamp program in Gig Harbor. She took a break for a bit, but has come back in the past 6 months and has consistently showed up to work out. Her strength and stamina have improved drastically and she has completely changed her lifestyle! Great job to all participants! Continue to work. Be CONSISTENT. You are amazing!! This intense cardiovascular workout combines upbeat, high-energy music with interval training on indoor bicycles. This is the perfect way to burn calories year round! 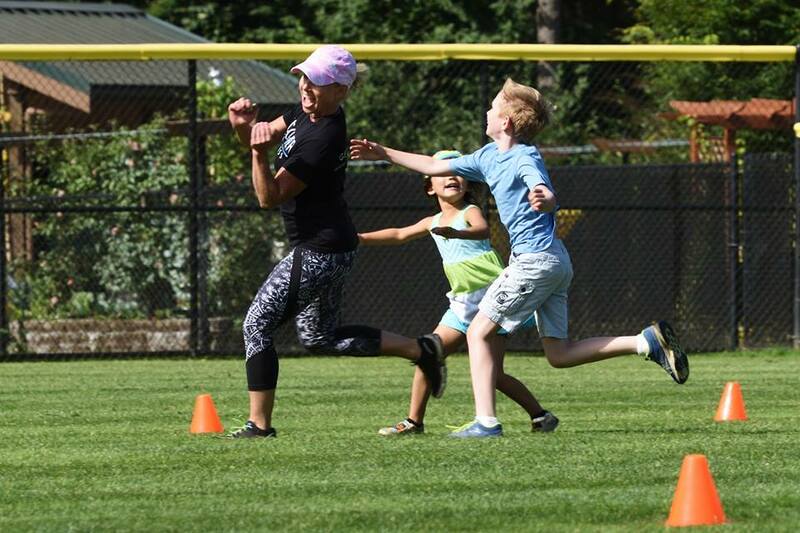 This camp provides an opportunity for kids to exercise in a playful setting, using games, obstacle courses, circuit training. 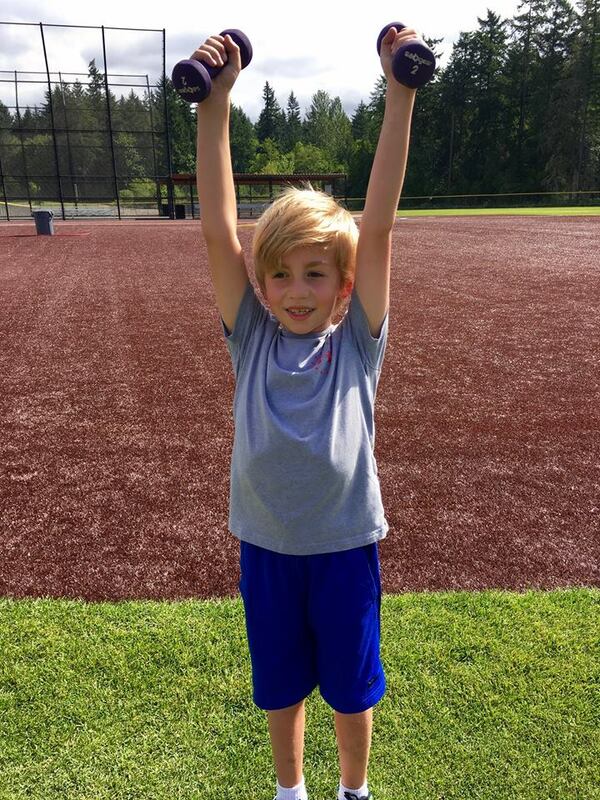 Located at Sehmel Park in Gig Harbor, WA, this camp is perfect for ages 4-7. Kids today live in a very fast-paced world. These classes use music and games to teach yoga poses, breathing and meditation to children of all ages. 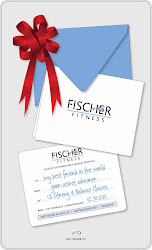 Contact Kristi for Fischer Fitness gift certificates (available year-round).